We have mentioned Moda's brand new fabric designer here and there, but today we get to really see what is behind her tranquil ways. 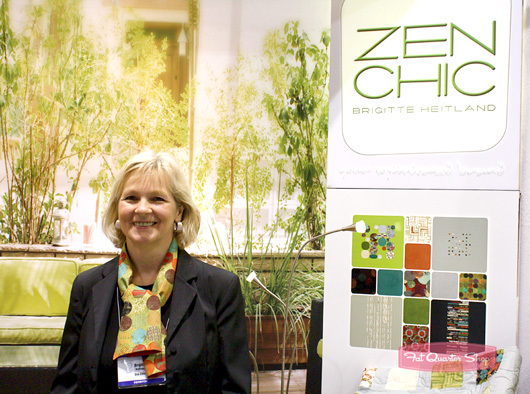 Brigitte Heitland (which she allowed us Americans to pronounce bridget) of Zen Chic just debuted her first fabric collection with Moda Fabrics at Spring Quilt Market. I was so excited when she agreed to do an interview with me in the middle of all the chaos. This is Brigitte’s quilt story in a nutshell. Brigitte was born and raised in Germany, where she still resides. 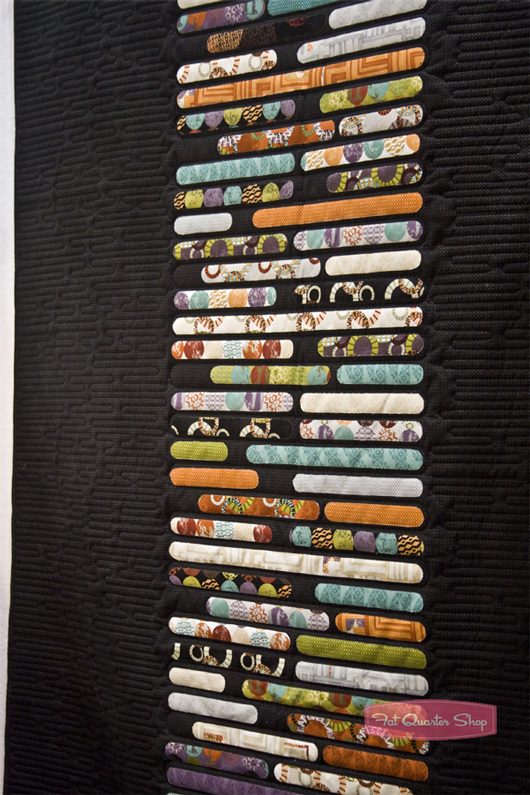 An accountant most of her life, she did not discover quilting until her forties, when she walked into a book store and found a quilting book. 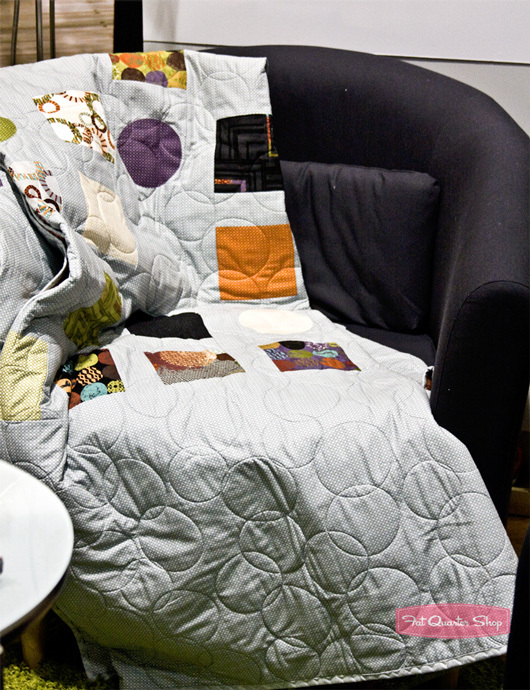 Before that moment Brigitte had never before even heard of a quilt (pretty amazing, right!?) but it sparked a sense of creativity in her she was missing. She immediately began shopping for fabrics but found they were unaffordable at her local fabric shops. This led her to start a small online fabric shop. Her online shop carried approximately 25 bolts and she eventually began writing patterns to coordinate with those fabrics. One day a new sales representative called, and the conversation swirled off topic, ending with Brigitte possibly designing fabric for them! Brigitte got to the drawing board and was inspired by very geometric and contemporary shapes. She wanted to create depth and texture without actually being 3D shapes, which I think she got down to a T. She first and foremost wanted fabric that appealed to her as she felt there was a void of fabric in that market – modern yet appealing to an older crowd. The phrase she has coined, “mature modern”, about sums up her aesthetic. 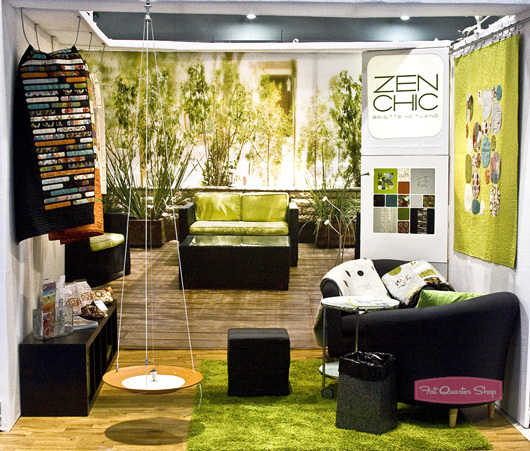 After her designs were all said and done she took a chance, flying all the way from Germany to set up her own booth at Spring Quilt Market 2011, and in the end, what do you know, Moda Fabrics picked her up! 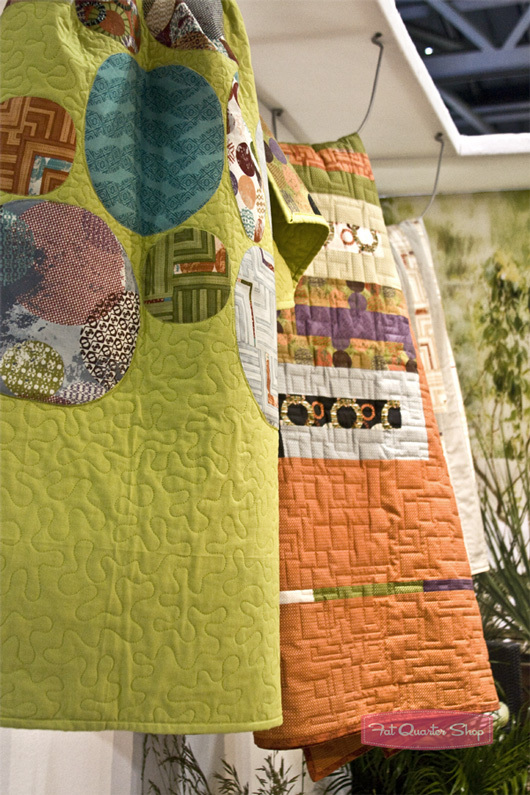 Her Juggling Summer collection with Moda is mostly a recoloring of the collection she displayed at that first Quilt Market in Utah. It has a warmer feel without being too bright and poppy. 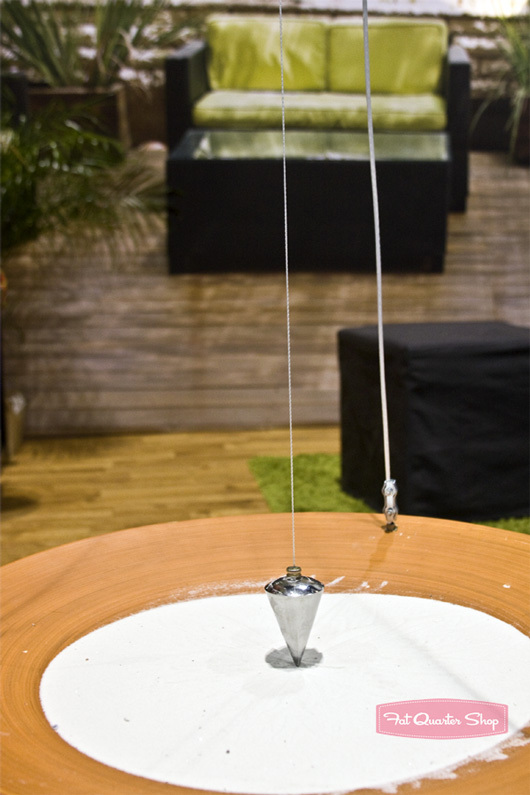 Brigitte is a self proclaimed minimalist, and a great one at that! I personally fell in love with her fabric after I saw it in use with her patterns, where you will completely see her minimalist persona revealed. The patterns pictured will be available at Fat Quarter Shop by the end of June and her Juggling Summer collection will grace us in October, right on time for the autumnal projects!